I'm writing to share some sad news about the passing of a good friend and sister in Christ, Sr. Meir Montiel, FMSJ. She was a sister with the Franciscan Missionaries of St Joseph, a missionary congregation of sisters that I've worked closely with in Ecuador. A native Ecuadorian, Meir was a good friend, although I had only known her about 3 years. Her cancer had returned about a year and a half ago, and she died in the hospital in Quito on Saturday evening. You can find the congregation's notice and obituary at the end of this post. Meir was the organizer of a local youth group in Quito, and it was that group under her leadership that came to Chontal two years ago on Easter and helped to form the youth group in Chontal. Shortly after, she and I also collaborated on organizing a relief effort in the wake of the earthquake of 2016, and we traveled with several other people to San Isidro in Ecuador to assist in the sharing of goods we bought through my own fundraising here at B2B. Later, in Christmas of 2016, we collaborated on a fundraiser for a school program for children with disabilities, where she was working. It was shortly afterwards that she had to stop working because of the return of her stomach cancer. She spent her time in Quito during her chemotherapy, at times visiting her home and family in Colimes, near the city of Guayaquil. 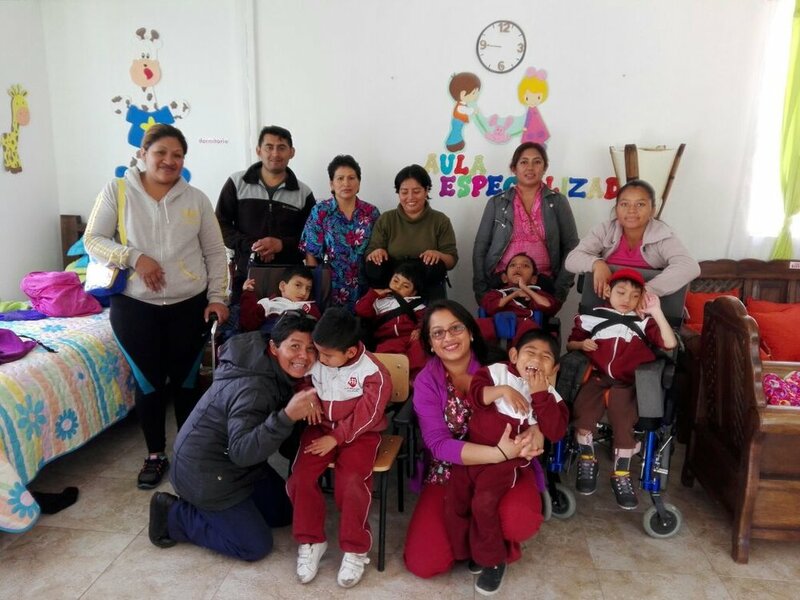 She has a large family, and had tremendous support during the last year and a half, as family members took turns visiting and accompanying her in Quito. A few times I accompanied other sisters like Rosemary here to pick her up from the hospital or get her medication. She couldn't do as much as she always wanted to, and although she was suffering, she never complained and was always friendly and happy to meet people. Staying with the sisters in Quito periodically as I passed through, I had the chance frequently to talk and pray together. Although she had been sick for a while, it seemed it had been a steady cycle: lots of difficulty from chemo treatment, then feeling better after a few days, then repeating the whole cycle again. All that for almost a year and a half. But apparently, a recent infection put her in the hospital and her immune system was too weak to fight it, and things happened fast. I will very much miss Meir, she was a friend and a real sister in Christ, always smiling and open and friendly toward everyone, and always ready to collaborate on something for serving others, lifting others up. I wasn't expecting that she'd be gone by the time I returned to Ecuador, we had just talked a couple of weeks ago. But I am glad that her suffering is over, and she has reached home ahead of all the rest of us here, to accompany all who knew her even more closely on the journey of life. I will be glad to see her again some day. Eternal rest grant to her, O Lord; and let light perpetual shine upon her. May her soul, and the souls of all the faithful departed, through the mercy of God, rest in peace.